SF writer Laumer takes a holiday to write a private eye thriller dedicated to Raymond Chandler. Joe Shaw occupies the neccessary seedy office with a bottle of bourbon in the desk drawer. He’s hired by former gangster Lou Anglich to track down the girl Anglich found on the street twenty years before. The gangster had placed the girl in a home. But when Anglich returned to claim her, he learns that the orphanage has let her go to an American couple. Joe has only two photographs as clues. One shows Anya as a small blonde six-year-old; the other is of the man believed to have taken her - a man Joe recognises as a rich industrialist named Prendergast. Prendergast had died of stomach poisoning at a picnic, years ago. Joe finds the Prendergast household is comprised of sponging Uncle Frank, and the pretty sisters Mianne and Ellen. Mianne is seductive, Ellen prim and fiercely protective of her family. Mrs Prendergast is an invalid, confined to bed. But which of the two sisters is really Anya? Who poisoned daddy? And is uncle Frank the manipulator or manipulated? The inevitable complicated plot spins its web, involving the adoptive parents, two Cuban hoods named Rosie and Sid (there’s a great fight near the end), and assorted noble or sneaky people. It's not a classic, but as always with Laumer, you know it's going to be fun. N.B. According to Bill Crider this book was filmed with Michael Caine as Peeper (1975) (see the link below). 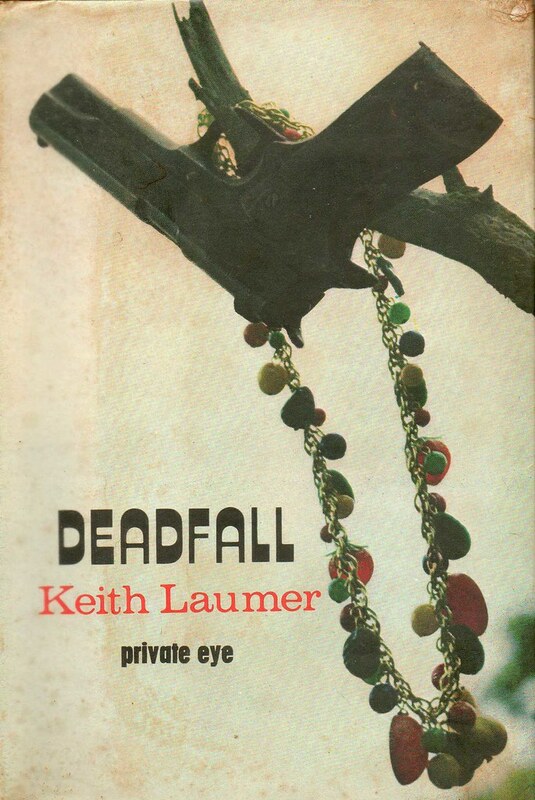 According to Crider, Michael Caine made a film named Deadfall, but then later made Peeper, based on the Laumer novel Deadfall, now renamed Fat Chance. Bil Crider reviews Deadfall & Michael Caine's film Peeper at Pop Culture Magazine.